Pop-up restaurant in Shoreditch? Surely that's not a PR stunt worth writing about! 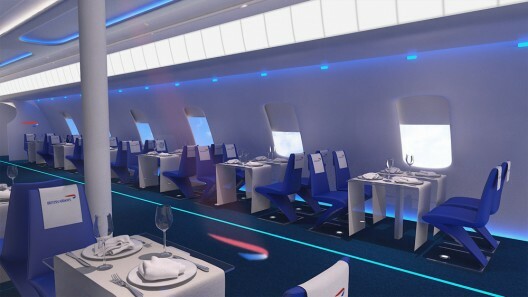 How about a British Airways pop-up restaurant run by Simon Hulstone which is made to look like the inside of a plane and comes with a £50 dinner menu designed by Heston Blumenthal? That's a gold medal for BA. The stunt aims to recreate the experience first-class passengers will have flying with BA – the official London 2012 airline – during the Olympic months, and to highlight BA's involvement with the games. e back for their creative and fun idea, particularly as many official sponsors are struggling to get bang for their sponsorship buck, as highlighted by this recent article which shows that non-sponsor brand Nike is the brand the public associate most with the games – despite the fact that bitter rival Adidas is actually an official sponsor. Oh dear. Like all pop-up restaurants, sittings at Flight BA2012 are limited so make like Usain Bolt to secure your place.